R1 Train BCAAs is an amino acid supplement made by Rule 1. It’s an intra-workout formula designed to improve growth, recovery, and hydration. 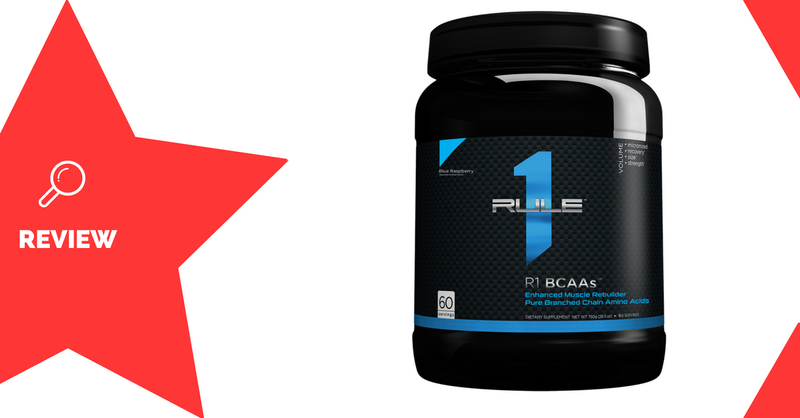 Rule 1 is an American supplement brand, based in the state of Illinois. Brached chain amino acids, or BCAAs, are building blocks used for muscle growth and repair. When taken around the time of exercise they have been shown to reduce the breakdown of muscle, as well as contribute to quicker recovery (1). Glutamine is another amino acid which has been shown to improve muscle development. It may be unnecessary, however, to use alongside BCAAs (2). Citrulline is a compound that increases levels of nitric oxide. This prompts a dilation of the blood vessels, improving blood flow, endurance, and pumps (3). Citrulline malate may also reduce muscle soreness. The effective dose is 6-8g. Taurine is an amino acid that may reduce fatigue (4). It improves water and nutrient uptake into the muscles. Coconut water contains electrolytes, which have been shown to improve performance and rehydration when taken around the time of exercise (5, 6). Athletes wanting to reduce muscle breakdown and improve their recovery and growth will enjoy using R1 Train BCAAs. 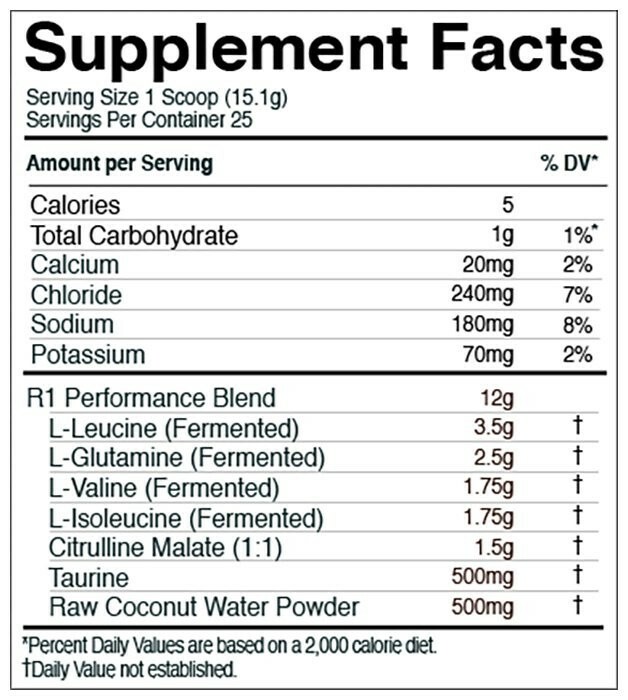 Mix 1 scoop (15.1g) with 250-350mL water, and consume during your workout. There are no significant side effects associated with the ingredients used in this formula. Available in multiple tub sizes and flavours. Doses of taurine and citrulline are too small. R1 Train BCAAs is a similar formula to many other amino acid supplements on the market. It contains about 6 grams of BCAAs in each scoop, along with the extras of glutamine, citrulline malate, and taurine. The more uncommon addition to this formula is the coconut water powder, which should work great for improving performance and recovery. You can expect good reductions to muscle wastage during workouts, as well as better performance and recovery. Copyright © 2019 Supplement Reviews Australasia. All Rights Reserved. About.